Check out this creative green way of producing a great graphic design piece. Designed by Lo Siento, for Non Toxic, Green Grass Stencil. The poster says: Seed But Do Not Touch. Leave it to Pixar to create such an amazing video. Imagine the time it took to make this. Each mosaic is made from 40,000 still image “tiles” from Toy Story 1 and 2, including credits. There are 16 mosaics, or 640,000 tiles. These mosaics don’t use “cheats” such as tile tinting or blending with the original image. When we zoom out to see that one mosaic is part of a bigger mosaic, it’s 200 times bigger than the first. Zoom out again and that mosaic is 4,000 times bigger than the first one. Do that four times and it’s 8 million times bigger than the first. Whenever the camera appears to be moving at a constant speed, it’s actually accelerating. The final animation is over 3,000 fames long. Each frame took between 30 seconds to 16 minutes to render. Toy Story 3 will be out in theaters Friday June 18, 2010. The year is 2019. It has been 10 years since the outbreak of a plague that has caused humans to turn into vampires. The humans who have resisted being turned in order to join the new race have become hunted and farmed for blood. They have become an endangered species. With so few humans left, the blood supply is dwindling and with time and blood running out, researcher Edward Dalton must find a cure to save mankind. Daybreakers stars Ethan Hawke as Edward Dalton, a vampire research scientist, who is trying to discover a blood substitute so the vampire world can survive. It’s a familiar tale of the protagonist who dwells within an antagonistic society, who should be one of the bad guys, but doesn’t like what he is and is at odds with his own ‘race’, so he’s on the good side and tries to save the world. Yea, that story. 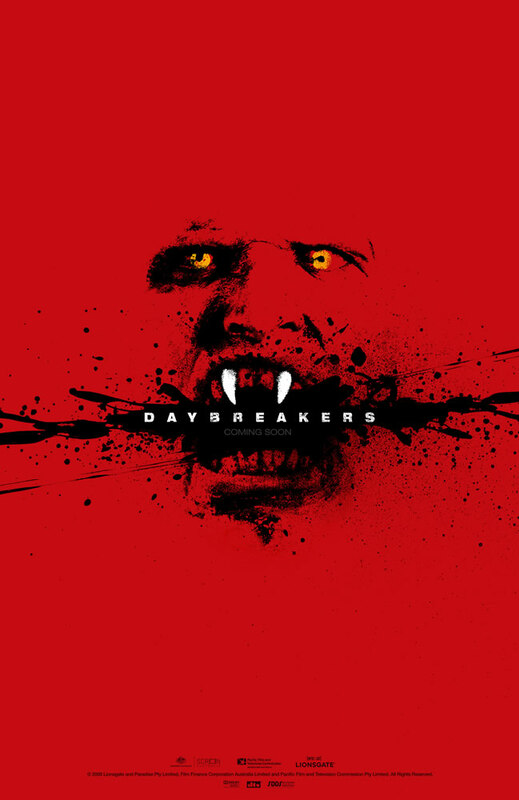 However, Daybreakers brings an original storyline to the table. It is unlike any vampire movie before it, even though it has Hollywood formulas. I believe it should rise to ‘classic’ status eventually, for it did a wonderful job at breaking the genre mold. No detail was left out when putting this film together. The world as we know it has become ‘Vampirized’. From having blood with your evening coffee, to the broadcasted Public Health announcement that informs you have one hour till sunrise. Vampires walk the earth like we do, with day jobs, well, actually night jobs, and there are even homeless with signs who beg not for change, but for blood. Dalton is a torn vampire. He works for Charles Bromley (Sam Neil), who oversees the research and farming facility, where he is trying to develop a blood cure. He hates what society has become and refuses to drink human blood. Bromley just wants a blood substitute for he prefers being a vampire and is all about gaining profits. This is where the battle begins. To make matters worse, Dalton has his own brother Frankie (Michael Dorman), a human hunter, to contend with. 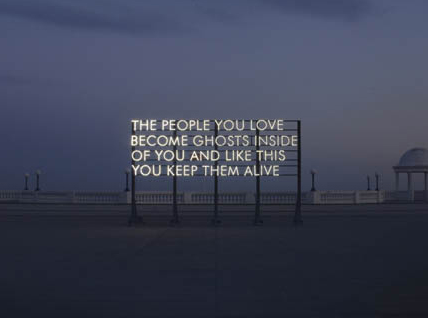 Currently going on is Scope Basel Art Fair, in Basel, Switzerland. First view was June 15 and it is now open to the public through June 19, 2010. SCOPE, the art show that has established its name by curating cutting edge contemporary art from around the world, proudly returns to Basel for the fourth year. Running concurrent with Art Basel for the next three years, SCOPE’s new high profile venue at historic Kaserne is just blocks from Art Basel 41. Located in the heart of the city, SCOPE Basel’s new home, a pavilion offering over 5,000 m², will provide the real opportunity for gallerists, collectors, curators, artists, critics and art lovers alike to experience a view of the contemporary art market available nowhere else. Visit Scope Art Show for visitor info. The next Scope Art Fair will be Scope Hamptons July 22 – 25, 2010. 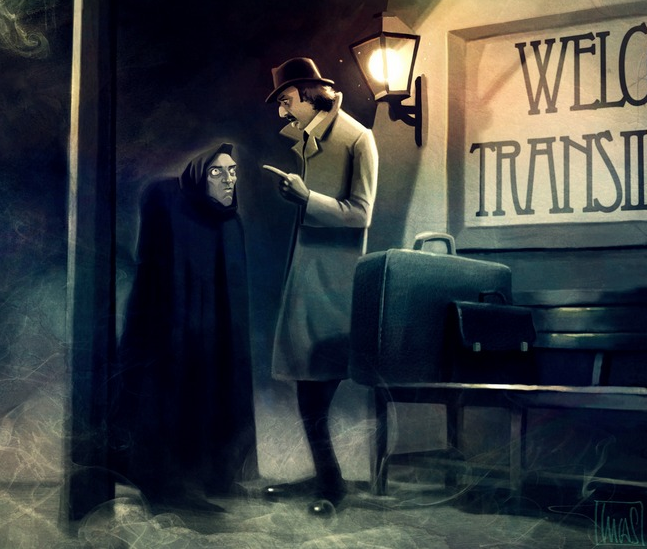 Lucas Soriano Beltrán is a freelance artist/illustrator, who studied fine arts at the UPV college of Valencia. He states he is a compulsive comic-book reader and a dangerous movie maniac! You can tell by his work.